Equipped with lake views, a shared pool, and three inviting bedrooms that sleep up to 10 guests, this Harrison condo is the perfect spot to spend your next lake getaway. You're right in between Coeur d'Alene and Harrison, making your trip packed full of adventure. Wether you're out on the lake, playing on the community volleyball courts, or exploring either town, there something that will keep everyone happily occupied. Bring the group together in the living room for a night in laughing, playing games across the coffee table, chatting about the fun had that day, and watching shows on the TV (DVD/VHS player and cable provided) above the fireplace. When you're in need of a snack or full meal, head into the kitchen to whip up delicious home-cooked food. Major appliances, plus a microwave, dishwasher, coffeemaker, toaster, and blender are all included for your convenience. You'll feel right at home here as this rental can comfortably sleep eight guests (two more guests may join if your bring a spare sleeping bag or two), has two full bathrooms, and includes a washer and dryer. WiFi is even available through an additional fee. Before bed, step out onto the balcony to breathe in the fresh mountain air while sipping a glass of wine at the patio table. A grill is set out here making BBQs an absolute must. A king-size bed is featured in one room, a queen sits in the next, and the last houses two sets of twin bunkbeds, perfect for the kids to sleep together! With the marina close by, you'll definitely want to bring your boat along for fun! You can also rent boats, fishing equipment, jet skis, and more at the Harrison Idaho Water Adventures. Gozzer Ranch and Lake Club offers wonderful golfing, and the Panhandle Yacht Club just a short distance away is a fun place to visit and see all the incredible yachts. Cool off with an ice cream cone from the Harrison Creamery and Fudge Factory after a thrilling day at Silverwood Theme Park, only 35 miles away. 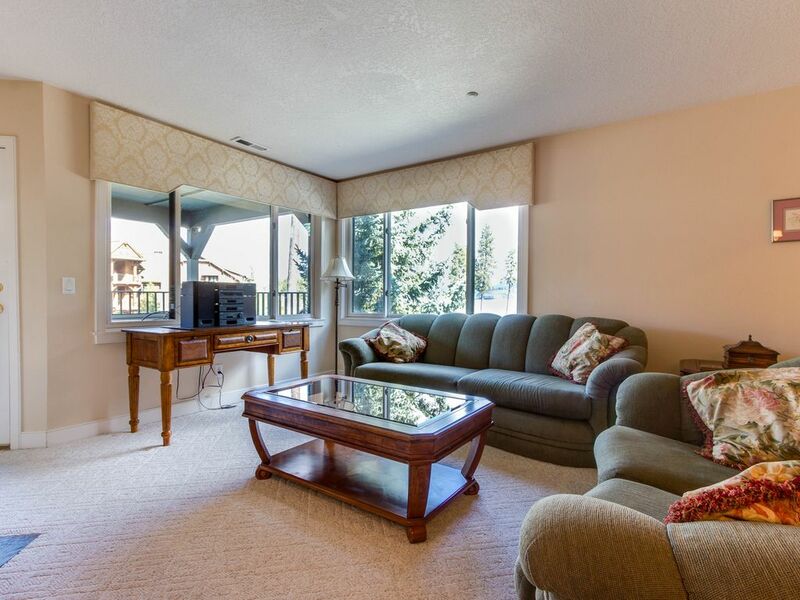 Nothing will compare to your family or friend getaway staying at this delightful Lake Coeur d'Alene condo. Parking Notes: Your assigned garage space is marked B-101. Should you have more than one car, the second car must be parked outside the building in the open parking lot facing the volleyball court/pool house. Boat parking is available from Discovery Marina for $35 per day on "C" Dock. Water Access: The resort has both a private and public beach. Vacasa guest are only allowed access to the public beach (by the volleyball court & pool house). You will not have access to the private beach by the Marina or the private restaurant during your stay. You may rent a boat slip at the marina if you like. This was a very basic, but clean unit. Everything was super nice, though a bit dated. Only thing i would like to change is the Electronics, they are smaller and older. Over all i would love to stay again. The view from room was the perfect spot to see the lake. The pictures of the resort on the website accurately represent the rooms you get. Although, the water heater didn't accommodate with our needs. In which the rooms and water were cold. Overall the stay was great. We really enjoyed our stay at the Mountain Lake Condo. Scenery was nice and condo was comfortable. everything was clean and beds were comfortable. The price for what we got was very good. I would definitely stay here again. Out of the way- but well worth the drive! Although this location is approximately 20-30 minutes from Coeur d Alene, the views along the lake are spectacular. Well worth the drive. Also, nice to have a place for everyone to gather and visit in the living room and kitchen area. Could use a couple more chairs, but if the kids don't mind sitting on the ground it works great! Loved our stay at the condo. Beautiful location. Condo was clean and comfortable. Only drawback is that there are no stores or restaurants close by, but well worth the drive just for the scenery. Only about 20-25 minute drive into CDA.